Sarphati Sanitation Awards honor the outstanding contribution of individuals or organizations to the global sanitation and public health challenge through entrepreneurship. Excited to announce that the AIWW 2019 will take place from 4-8 November 2019: Implementation of Integrated Solutions by cities, industries, utilities and financiers - from cases to bankable projects. More details about the Call for Content will come this week and registrations open in May: http://internationalwaterweek.com . 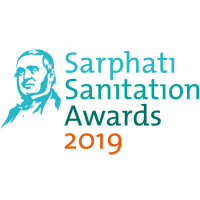 Join the boost for global sanitation efforts and nominate an individual or organization for the Sarphati Sanitation Awards 2019! The theme this year is: Integrated sanitation (collection, transport and treatment/re-use) solution for urban context. Two prizes will be awarded during the opening of the AIWW 2019. Travel and accommodation costs are covered for award winners! Nominate here: https://aquaforall.org/sarphati/ . World Waternet, Aqua for All, WSSCC and the Netherlands Water Partnership (NWP), endorsed by the Dutch Ministry of Foreign Affairs, Directorate-General for International Cooperation (DGIS), hand out the biennial Sarphati Sanitation Awards to honor the outstanding contribution of individuals or organizations to the global sanitation and public health challenge through entrepreneurship. The Sarphati Sanitation Awards are traditionally handed out during the opening of the Amsterdam International Water Week. In addition to the message above: the call for nominations for 'Samuel Sarphati 2019' is open NOW! Theme 2019 ‘Integrated, decentralized sanitation solutions for urban context’. Do you know an entrepreneur or innovator who has made a breakthrough in urban sanitation? Nominate him/her here: aquaforall.org/sarphati before 31 March 2019! Last Edit: 08 Feb 2019 10:13 by Mandy.